Servicing Memphis and surrounding cities and counties, including Fayette Co. and parts of DeSoto Co.
Meet Mary Margaret. So sweet, cute, loving, and YES a cancer survivor. 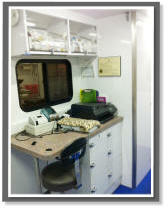 Welcome to the Pet Doctor Mobile Veterinary Practice. 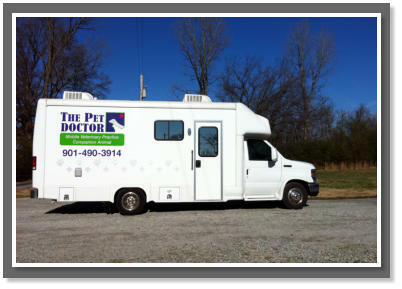 The Pet Doctor is a companion animal (dogs and cats) mobile veterinary practice servicing families in Memphis and surrounding cities within Shelby County, Fayette County, and parts of DeSoto County. 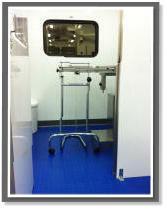 The facility is a mobile unit specifically constructed as a veterinary clinic, complete with medicine, surgery, and dentistry capabilities. Our mobile facility allows us to come to your pet's home, away from the stress and discomforts of hospitals, and at a convenient hour for you and your family. 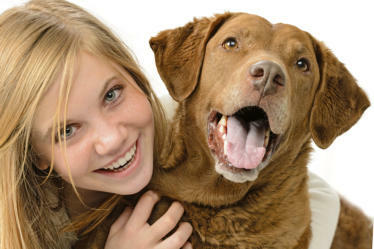 Our unconditional love for companion animals extends into our efforts to improve your pet's quality of life. In recognizing your pet as a vital member of the family, we are dedicated to providing the best diagnostic and treatment options to ensure comfort and longevity. 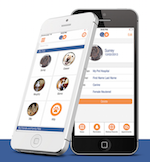 Pain management is one of our top priorities, as well as preventive medicine and client education.We pride ourselves in our solid foundation of knowledge of basic veterinary care, and we challenge ourselves to stay abreast of the dynamic veterinary trends. Unlike a stationary veterinary clinic, The Pet Doctor is able to service you and your pet at the convenience of your home. No more stressful car rides or waiting rooms. 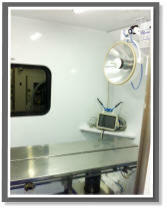 Let The Pet Doctor come to you for all your pet's health care needs. CALL US FOR AN APPOINTMENT at 901-490-3914.